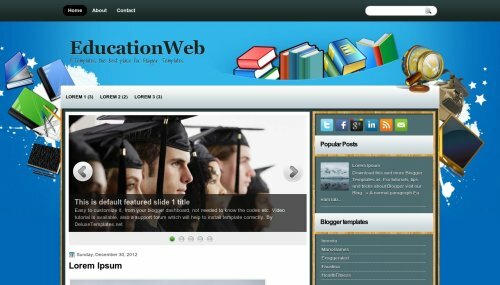 EducationWeb is a free blogger template with 2 columns, right sidebar, footer columns, slider, social bookmarking icons and vectorial elements. Excellent template for blogs about books, education or science. please help me I am tryng to downloadthe template but it is saying error that am either copying and pasting and I should upload all xml document. PLEASE help I so much need this.love your template keep up the good work. So,what should I do?Please help me.